I love a great smelling, seasonal candle, so I was happy when BFFs Lori & Cindy offered one of her homemade king cake candles for my readers. It's a give away, y'all! 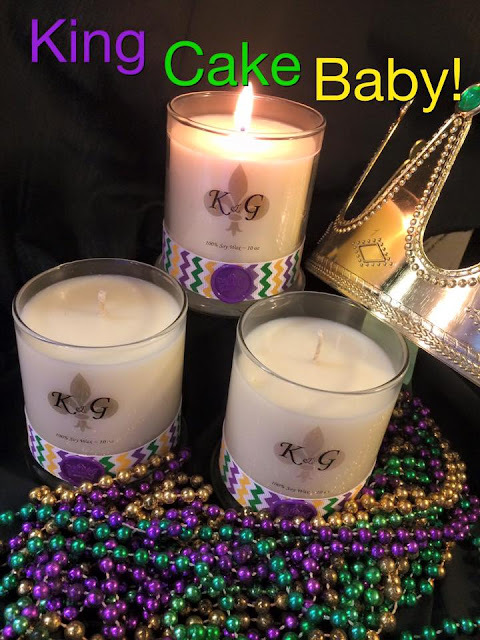 If you love the scent of freshly baked dough drizzled in sweet gooey icing, cinnamon, and sugar, you'll love this candle by K & G Candles, Soaps, and Scrubs. 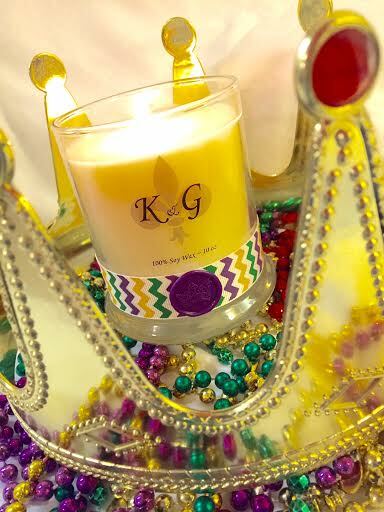 The candle jar features a Mardi Gras chevron ribbon and wax stamp. I adore the new look. 1. "Like" K & G on facebook and tell them Uptown Acorn sent you. 2. "Like" Uptown Acorn on facebook or become a follower of Uptown Acorn. 3. 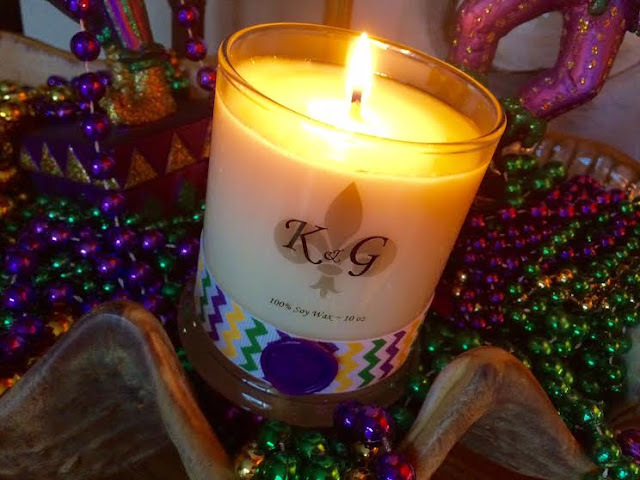 Leave a comment on this blog post telling me where you'd display the king cake candle. The give away starts at midnight and lasts until midnight January 23. The candle would be a great addition to any home. It smells so scrumptious. And who doesn't like king cake? Laissez les bon temps rouler with this sweet reminder of Mardi Gras Day with the enticing aroma of cinnamon swirls and colored sugar icing. It's King Cake without the calories!!! King Cake Candle Give Away, y'all! I have mine on my stove. Cute candle, Ron! I would use it in my family room. The fragrance sounds lovely! Thanks for the opportunity to win! The giveaway ends on my birthday!! I would use in my kitchen. Thanks Ron! I would put it in my dining room! So hard to find real king cakes in Chicago! On my coffee table - right in the middle of my beads! Nothing better than King cake! Think I would put it in my kitchen. Your description sounds lovely. Thanks for the give away. In the kitchen thinking of you as I make the pancakes! I would put it on my entryway table. Thanks for a chance to win your lovely giveaway! I would use it in my kitchen. Thanks Ron. Our dining room is our "New Orleans" room. The King Cake Baby Candle will be in the dining room. Oops! Forgot to say it would be used in my tv room right off my kitchen so I could enjoy it in either!! Sounds delicious!! I would use it on my bar, of course! I can't do the other two things you asked because I do not mess with Facebook. I would place it in my foyer so everyone entering my house could "sense" some of the Mardi Gras atmosphere! Thanks for the opportunity to win one! I would give mine to my Mother to enjoy. She loves candles and doesn't understand how to enter a contest "online"! I would use my candle in my living room. That candle would have the focus on the mantle in the family room! Wonderful displays you have in your house, Ron! I follow you through my Blogger feed! Oh, I forgot... 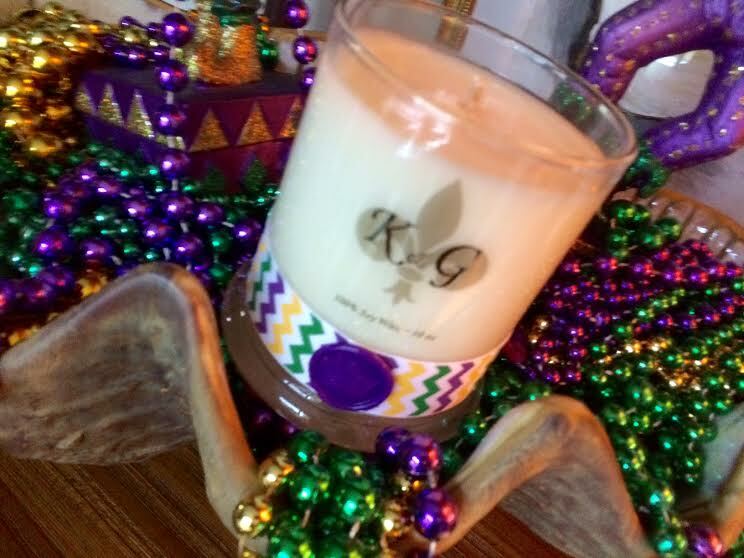 I'd put the King Cake Candle in my entry for a welcoming fragrance. I would use the candle in my hearth room adjacent to kitchen and breakfast room. Nothing like a NOLA King Cake!!! I would put my candle in the hearth room adjacent to the kitchen and breakfast room. Nothing like a NOLA King Cake !!! Thank you Ron for the opportunity to win this candle, I am sure it's fabulous scent I could not expect anything less than that from a man with such wonderful taste! I would love to display this candle in my new living room. It's such a pretty, festive candle it could be displayed anywhere! I think I'd put it in the living room. Thanks for hosting such a great giveaway! I would display the candle in my kitchen next to the stove!! I emailed you before about coming to Mardi Gras next year for my husband's 40th, so I will probably wrap this up for him for his birthday this year along with our travel plans! Ok, don't have FB, but will comment anyhow. We love candles in our home and have them burning nightly. I would put it in the family room. I LOVE New Orlean! I would display this candle in my kitchen! Would go PERFECT with my Fleur De Lise vibe! Let the Good Times ROLL! And "Thank You" for the opportunity to won this CANDLE!!! BooYah! Hello Uptown Acorn. 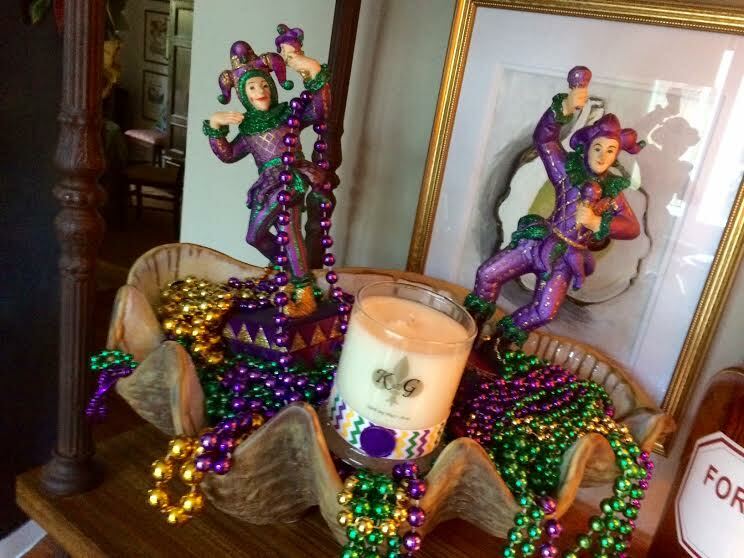 I would use the candle in a Mardi Gras Tablescapes first then move it to my kitchen peninsula to see everyday. Thank you for your decorating tips and sharing your exciting adventures. I have been following your blog for a year or so. I live on the coast of North Carolina so I too love oyster shell decor and acorns. Happy Weekend!